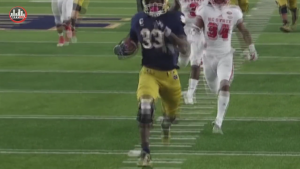 City360tv.com was on location at Notre Dame covering the NCST. game. We have a great webisode covering comments from Coach Kelly, players Josh Adams and Drue Tranquill. Also, fan cam and “Where are they now” with Golden Tate and Joe Schmidt.